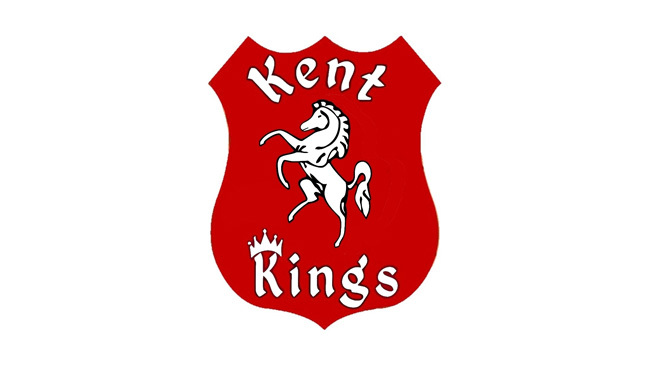 The Kent CTA Fire Kings National Trophy opening meeting was a prime example of how competitive the third tier of British Speedway is. Many peoples tip for the top the Isle of Wight Islanders certainly justified that opinion on a night when the weather played a major part. A bright start for the Kings fans as Steve Boxall scorched out of the gate to become the first rider to win a National Trophy heat at Central Park. The Kings though quickly came down to earth with a bump in heat 2, the unlucky Jack Kingston was forced to retire on the opening lap, while Adam Kirby fell on the second bend of lap 2 and despite getting quickly back onto his machine could do nothing to prevent the Islanders taking the first of their five maximums on the night. Islanders skipper Ben Hopwood led by example, unbeaten in his three rides and only really being challenged when he was forced to cut inside Ben Morley in heat 3. The Kings fans thought they would be celebrating their first 5-1 when skipper David Mason and Jack Kingston went in front in heat 4. While Kingston was fighting off a determined challenge from Tom Young the 17 year old fell on the final bend just as the celebrations were beginning. Unsure of what do for a moment, but urged on by the crowd he pushed his machine home to the biggest cheer of the night. It was an eventful meeting for the crowd favourite who ended his evening in an ambulance after a heavy fall in heat 8. Kingston was thrown to the track as his bike careered through the fence after catching Brandon Freemantle's back wheel on the third bend. Late last night reports suggested no broken bones just soft tissue damage so should be fit for next week's meeting against Stoke although as a precaution he is due to visit his local hospital later today. At this point in proceedings the rain had started to fall in heavy bursts leaving track conditions far from ideal. With Kingston ruled out it meant Adam Kirby was in for a busy night, a fighting display to hold off Daryl Ritchings in heat 7 had provided a brief moment of respite for the home crowd but as the weather began to take hold the Islanders adapted much better. Tom Young and Adam Ellis squeezing out Ben Morley to continue a run of four maximums that decided the contest in heat 9. 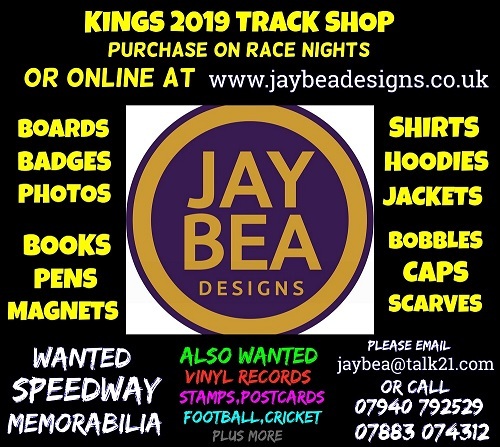 Kings team manager John Sampford played his last card of the evening in heat 10 with Steve Boxall going for double points. A blown engine in the opening straight put paid to narrowing the score line with the Islanders in a massive 18 point lead. The rain was still pouring down and with Tom Perry's winning time of 64.2 seconds in heat 11 showing how the track had deteriorated referee Dale Entwistle had no other option but to call proceedings to a halt early. GATE POSITIONS: Islanders won the coin toss and took gates 2 and 4 in heat 1.